I noticed the pale blue car with its tail towards us just to the right of centre of this photo and wondered what it was. Opinion is that it is a Bristol 405 from the mid 1950s. 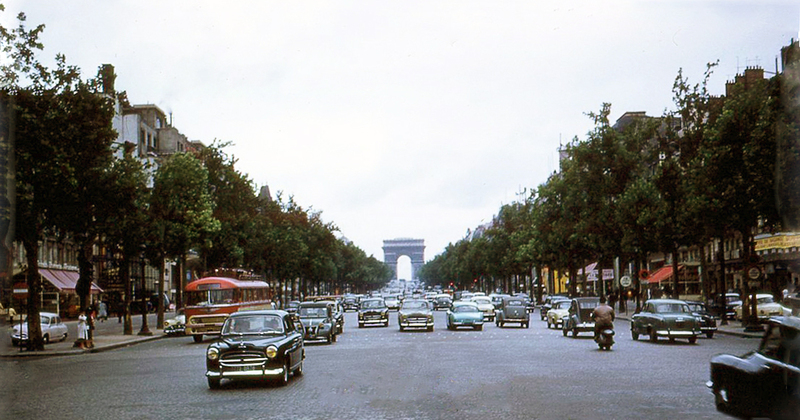 Only about 300 of these were built so quite a rare sight in Paris traffic.